Australian insurer Suncorp confirmed it would close 10 of its 26 RepairLink estimating centers in Australia, the Sydney Morning Herald reported Sunday. The newspaper said a Suncorp spokesman acknowledged it would cut facilities in Chipping North,, Haberfield, Newcastle, West Gosford and Willoughby but could not offer any more details. “Redeployment across the group is a key priority for us to minimise any redundancies,” the spokesman told the newspaper. The company plans a new “national repair model” and to create “new on-road assessing and auditing capability,” according to the Morning Herald, which reported that it had seen internal company documents. The Motor Traders’ Association of New South Wales, which represents collision repairers (known as “smash repairers” in Australia), has challenged Suncorp’s RepairLink policies in the past. In 2012, the trade group accused Suncorp of using RepairLink as a weapon against unfavored repairers. “Our members have advised us of increasing difficulty with their customers exercising customer choice and being forced to go to their Repair Link centres and having to wait weeks for an assessment if they choose their choice of repairer,” the MTA wrote in a June 2012 summary of May 2012 comments by the group’s Nick Brill. 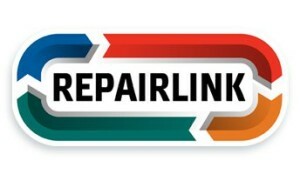 “Any customer who wishes to use their Choice of Repairer is given the run around driving damaged vehicles to (sometimes) up to 4 different repairers to get a quote that AAMI will accept and then having to wait, at some Repairlink centres, for up to 3 weeks to get their cars inspected and authorised for repairs,” the Journal stated. Damaged vehicle is driven/towed to a repair link centre where the customer’s vehicle is left in a shed and repairers are invited to tender for the repair of the damaged vehicle. Regardless of the customers preference for a repairer [the insurer] also invite contracted repairers that must win a minimum of 50% of their tender’s or their repair contracts can be terminated, repairers are also invited less to tender for work if additional costs for repair are submitted once the vehicle is disassembled for repair. The winning tender is also adjusted for price by line item, [the insurer] say they let the market set the price yet adjust the winning tender. But despite these complaints about the locales, their closure might not lead to the kind of reforms some Australian repairers would want to see. More and more, ACM will work hand-in-glove with SMART. This integrated service will help SMART change the parts mix in its business. More parallel parts, more recycle parts, more after-market parts, to lower the parts cost and improve SMART’s margins. This is particularly important as the cost of new, genuine OEM parts increases as this Aussie dollar falls. With quality, an international certification program for after-market parts, the ACM business will continue to disrupt the part supply chain in Australia. Our future plans include a platform that creates assessment of cars done automatically off digital photos, parts pre-ordered electronically, and parts delivered before the car arrives to the smash repair shops. The “international certification program” likely refers to NSF International’s announcement in 2014 it would certify aftermarket parts in Australia. The SMART network only fixed a few thousand cars in 2010, but would do about 160,000 in 2016, Milliner estimated, according to the transcript.